Using APKPure App to upgrade Magnus Trainer, fast, free and save your internet data. A better, more fun way to learn and train chess! Master chess through engaging games and interactive lessons with Magnus Carlsen, the World Chess Champion! Play unique, beautiful games crafted by chess experts and game design experts. Deepen your chess skills through premium lessons based on games by Magnus Carlsen and other world-leading chess players. All games and lessons are created by Magnus Carlsen and his team of experienced Grand Masters, all of whom have years of coaching experience. Magnus Trainer makes learning chess easy and engaging for players of all levels. New games are updated and added regularly to bring you the best possible experience, and we're adding new theory lessons every week. Each mini-game has dozens of levels, ranging from beginner to advanced, allowing all chess players, new and experienced, to find a challenging fit to improve their skills. Those who have never played chess before are able to learn the fundamentals in a series of introductory lessons, while more experienced players have access to advanced tactics and strategies, covering a range of end-game essentials. The Magnus Trainer app has been featured in Fast Company, The Guardian, and VG, and is the creation of the team behind the Play Magnus app, winner of several design awards. You can also check out our other free app, Play Magnus. Play against Magnus at any age from 5 years and up! - Multiple unique, beginner-friendly mini-games, with dozens of levels in each. - Unique and innovative game design ensures essential chess skills are developed in a fun and effective way. - Caters to beginners and advanced players alike. - Learn chess from the greatest player of all time! The app is free to use, with added benefits for paying members. Members enjoy instant access to all 150+ premium lessons, many exclusive only for members. As a member, you also get infinite lives so you can always keep playing, including exclusive bonus levels. Payment will be charged to your Google Play account after you’ve confirmed a purchase. Subscription to a membership automatically renews, unless auto-renew is turned off at least 24 hours before the end of the current period. Your account will be charged for renewal within 24 hours of the end of the current period, and the price for renewal will be provided. 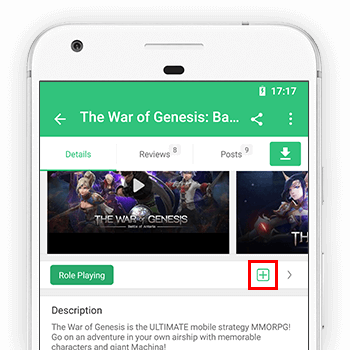 You can change your subscription settings in Subscriptions in Google Play, or in the More tab in Magnus Trainer when a subscription is active. It is not possible to cancel an active subscription to get a refund of remaining time. Happy Theory Thursday! Some skills are so essential in chess everyone should know them. So, for one week, the lesson “Tactics and Strategy” will be FREE for everyone. Do not miss it!